Attention! We offer 2 deals! 1. Discount for the period from 01.03.2016 to 30.04.2016 and from 01.09.2016 to 31.12.2016 for Superior rooms and Suits! For bookings of 7 nights — 25% discount*. To get the discount — just book the room by e-mail hotel@vergaz.spb.ru. *Discount is only applicable to the standard rate. You book from 01.03.2016 to 30.04.2016 any room from Friday to Monday, you live three nights and pay for two *! 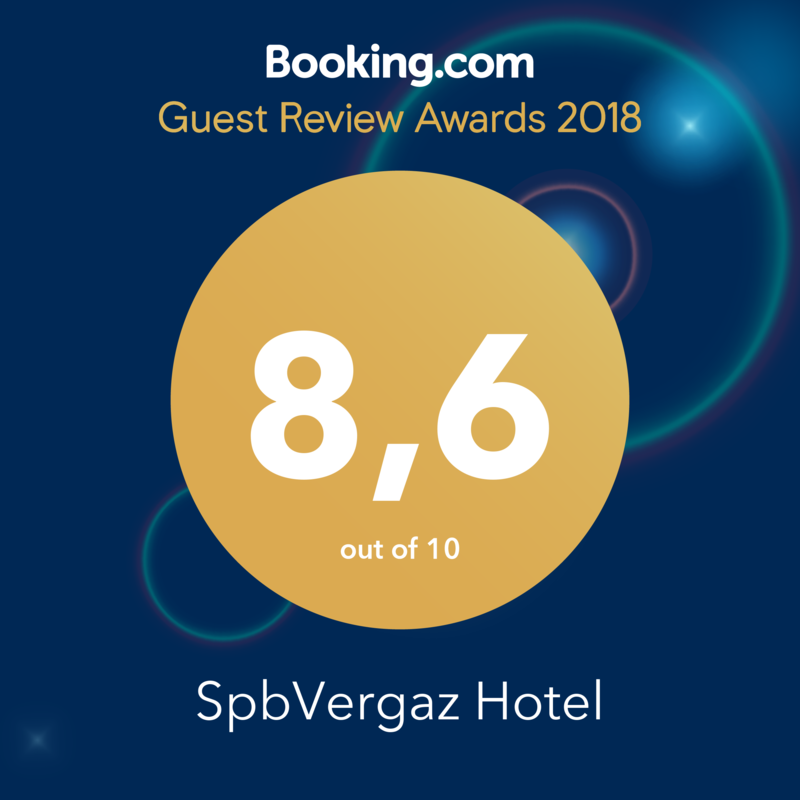 To get the discount — just book the room by e-mail hotel@vergaz.spb.ru.